This is not a prank post, and, yes, April Fools is still many weeks away. With that out of the way, it can be reported that the moon will get a mobile phone network. A launch is scheduled next year from Cape Canaveral on a SpaceX Falcon 9 rocket. Expect high-definition streaming from the lunar landscape back to earth, according to a report from Reuters. It's 4G, said Reuters. What? As long as technology thinkers are reaching for the moon, why not go for a 5G network? Paul Sandle and Eric Auchard in Reuters answered: A Vodaphone executive noted how next generation networks are still in the testing and trial stage. He said they were not stable enough to ensure they would work from the lunar surface. Nokia said a 4G network was "highly energy efficient compared to analogue radio." Nokia also said its Ultra Compact Network will be the lightest ever developed. Vodafone Germany, Nokia and Audi are working to support the mission. Vodafone said it appointed Nokia as its technology partner "to develop a space-grade network which would be a small piece of hardware weighing less than a bag of sugar," according to Reuters. Berlin-based company PTScientists is on the 2019 mission, and is taking on this moon landing. They said they have developed a spacecraft capable of delivering two rovers, or up to 100 kg of payload, to the lunar surface. So what's the point other than making great headlines? CNET said it is to support "scientists whose rovers need to communicate and transfer data on the first privately funded moon landing, set for next year." The rovers will study NASA's Apollo 17 lunar roving vehicle used in 1972. Where does Audi fit in this plan? 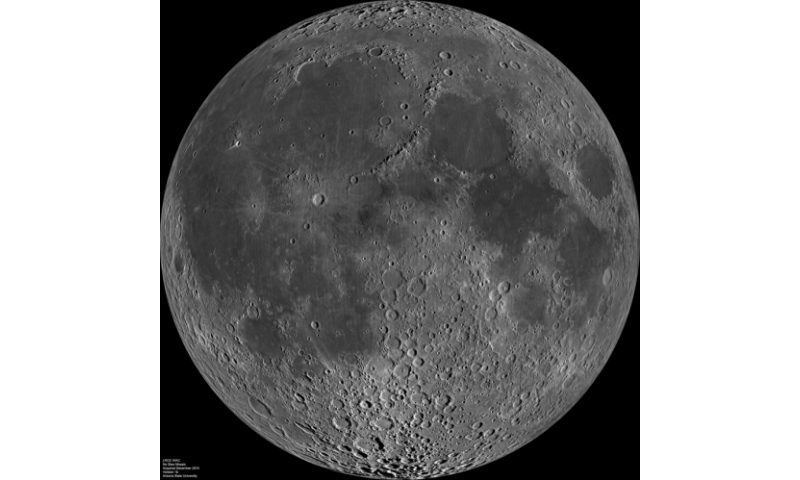 Joan Solsman, CNET, said, "The network would connect two Audi lunar quattro rovers to a base station, so they can communicate and transfer scientific data and HD video." Their aims are to bring down the cost of space exploration, democratize access to the Moon and inspire the next generation of explorers. As a learning experience, the project could help advance the communications infrastructure required for institutions conducting lunar research. Nokia Chief Technology Officer and Bell Labs President, Marcus Weldon, considers the mission important in supporting the development of "new space-grade technologies for future data networking, processing and storage." Nokia issued a statement on Tuesday, regarding its participation and plans for broadcast. "Vodafone testing indicates that the base station should be able to broadcast 4G using the 1800 MHz frequency band and send back the first ever live HD video feed of the Moon's surface." The broadcast to a global audience will be via a deep space link interconnecting with the PTScientists server in the Mission Control Center in Berlin. Nice PR stunt and also excellent testbed for self riding car technology and electric / solar tech. I hope they put a webcam so that we can get some real-time footage! And in the future such lightweight rovers could also be lent to universities or other institutions to conduct their own experiments or surveys. And heck, let's plant a blue flag on the moon!!! !